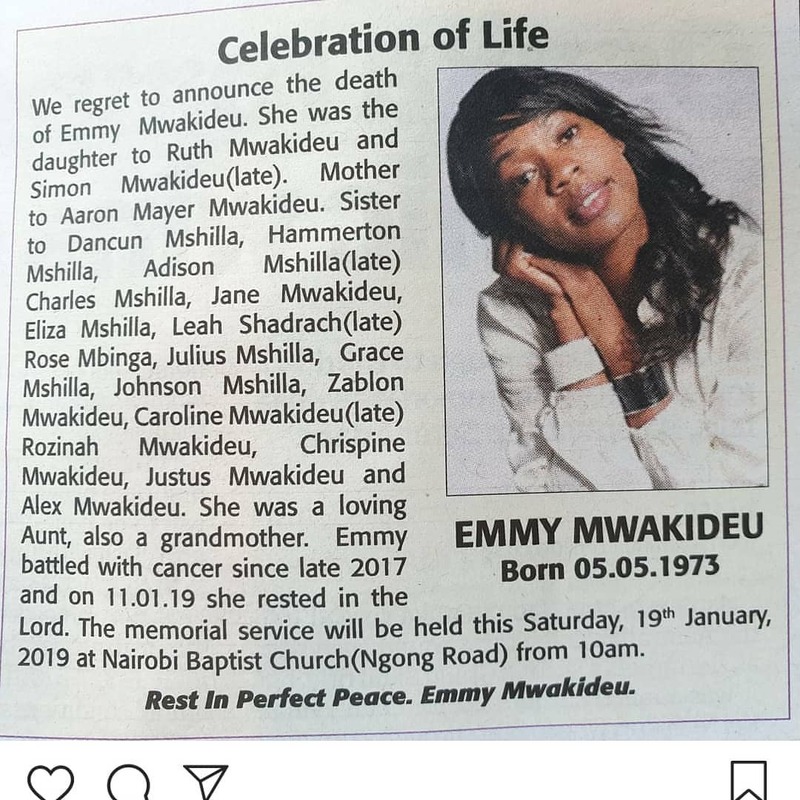 January has been a dark month to many people, Milele FM presenter Alex Mwakideu lost his sister Emmy Mwakideu who died on Friday January 11th. 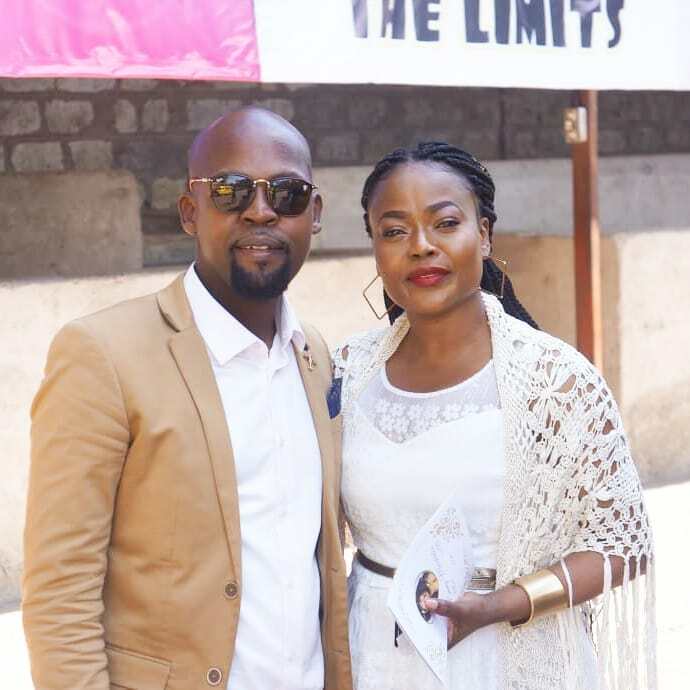 The Milele presenter took to social media to mourn the death of his sister without revealing details of what caused her death. “I just don’t have words to write. But still I am grateful to God for the time you were with us. I will miss you so much. Rest with the Angels my sister Emmy Mwakideu,” wrote Alex. Apparently Emmy had been battling cancer for a long time, details from newspaper obituary indicate that the deceased was diagnosed with cancer in late 2017. She succumbed to the disease on January 11th 2019. 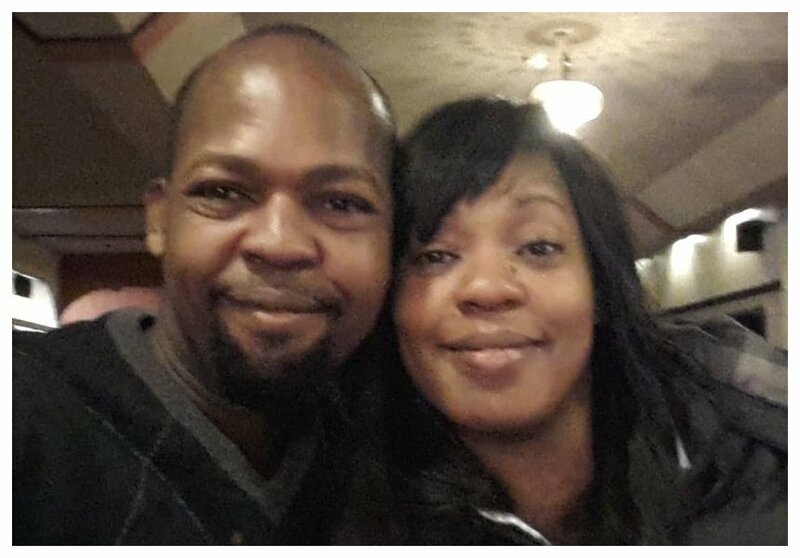 A memorial service of Alex Mwakideu’s sister was held last Saturday 19th January at the Nairobi Baptist Church on Ngong Road.